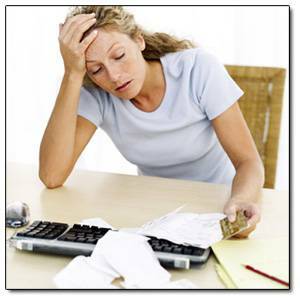 Debt Consolidation: Covering other debts to hopefully lower the amount you have to pay back. In some cases you could be taking out a longer term loan than current debts to help lower the monthly payments, or to just keep your debts in one place. Home Improvement: An investment in your home to help increase its value. Make sure the amount you are borrowing will actually be worthwhile in the amount of equity it adds to your home! Make sure you have a few estimates for the work to get a good idea of how much you'll need. As a home owner you may also qualify for secured lending, although be very aware of the risks as if you can't pay the loan back you risk losing your home. Secured loans offer lower interest rates for this reason! Also although the housing market in the last 10 years has been booming a downturn may leave you with negative equity where your debts are greater than the level of borrowing on your house, effectively trapping you there until prices increase again. Car Finance: Usually the second most expensive item a person buys apart from their home. Car finance can compare favorably with personal loans; the seller is keen for you to buy. But do look at other lending options before you commit; it will usually work out cheaper. Think about if you really need the loan; if it is for small amounts an interest free credit card may be a better option if you can pay it back quickly. So you have decided a loan is what you need, the next question is "How much?" If you have other purchases in the future it may be worth waiting to lump it all in the same loan, since it will work out cheaper than two smaller loans. Also it is worth thinking over how long you want the loan to be over. The longer terms usually mean smaller monthly payments, but you will be paying back more money in the long run. General rule of thumb would be to borrow as little over as short a time you can comfortably afford. Once you have decided, take a look on a few shopping comparison sites to compare different companies personal loans with each other, the range of interest rates can be extreme and you can save yourself a lot of money by doing a little research and not going for the first loan you see such as at your local bank. Make sure you are aware of such details such as "Can I pay the loan back early?" "Are there any special conditions on the loan?" try not to apply to too many loans or credit cards at the same time; every time you do a credit search is made and affects your credit score briefly, meaning you may not be able to get a loan or only qualify for high interest rates. OK so you have your loan and have spent the cash on your holiday/debts/car whatever, what now? Its important not to be late with any payments since this will affect your credit score in the future; too low a credit score means increased interest rates in the loans you can get or even not being able to get a loan at all, which usually happens to people when they most need it! If you are late with a payment, try and pay before the next payment date is due, since a missed payment (you miss a payment and don't pay it before the next payment is due) is a lot more severe on your credit score than a late payment (where you miss a payment but pay before the next is due) If you don't spend all the cash try putting it in a high interest savings account to claw back a little interest. Its worth carrying on looking at loan deals even when you have your loan since a cheaper deal may come along which you can switch to, so saving money.